At the meeting with ICT Minister Ali Abbasov on the occasion of completion of his four-year diplomatic mission in the country, Kobia said that he witnessed major works and positive results in the ICT sector during his stay in the country, Azerbaijan's Communication and Information Technologies Ministry reported on August 15. According to Kobia, the European Union is closely following the ICT sector development in Azerbaijan and is ready to provide expert support to the Ministry in implementation of the future plans in this area. Kobia believes that Azerbaijani experience gained in the last 10 years may be useful to the other countries of the "Eastern Partnership". In turn, Abbasov noted the close cooperation and continuous exchange of experiences of the Ministry with the EU institutions. In line with Azerbaijan's development concept, the ministry's plans include shaping an economy based on science, and bringing the level of the ICT sector income to the level of the oil and gas industry income in the next 10 years, Abbasov said. Azerbaijan has taken important steps in the ICT sector, achieving 10.5 percent growth in the sector in the first half of 2013 over the same period of 2012, which amounted to 756.8 million manats. In total, some 71.2 million manats was invested into the ICT sector of the country. 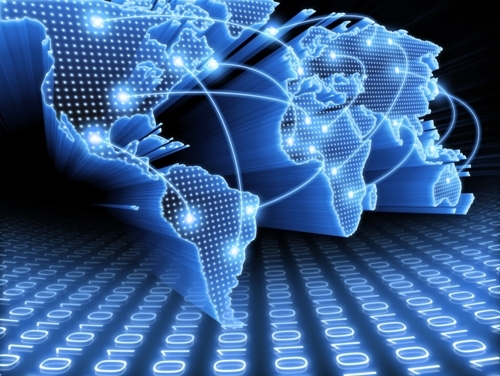 The country ranked eighth among 144 countries on the index of "Government's achievements in ICT", ninth on the index of "Importance of ICT in the government's view for the future" and 20th on "Internet availability" in the World Economic Forum's Global Information Technology Report 2013.